Struggling with any type of dementia is difficult enough, but the burden is doubled when an incorrect diagnosis is made. "LBD is not a rare disease," according to the Lewy Body Dementia Association. "It affects an estimated 1.4 million individuals and their families in the United States. Because LBD symptoms can closely resemble other more commonly known diseases like Alzheimer’s and Parkinson’s, it is currently widely underdiagnosed." Dementia is frustrating. It causes tremendous heartache and anguish for so many families. As you can imagine, struggling with any type of dementia is difficult enough, but the burden is doubled when an incorrect diagnosis is made. Unfortunately, that’s often the case when it comes to Lewy body dementia, a condition about which many doctors and medical professionals simply do not know about. Although most people are familiar with Alzheimer’s disease, fewer have heard of Lewy body dementia. Even though it’s not widely talked about, it’s the second-most-common type of progressive dementia after Alzheimer’s, affecting up to 1.3 million people. Because the disease is still relatively obscure, and because it produces the same symptoms as Alzheimer’s and Parkinson’s, it is widely underdiagnosed. 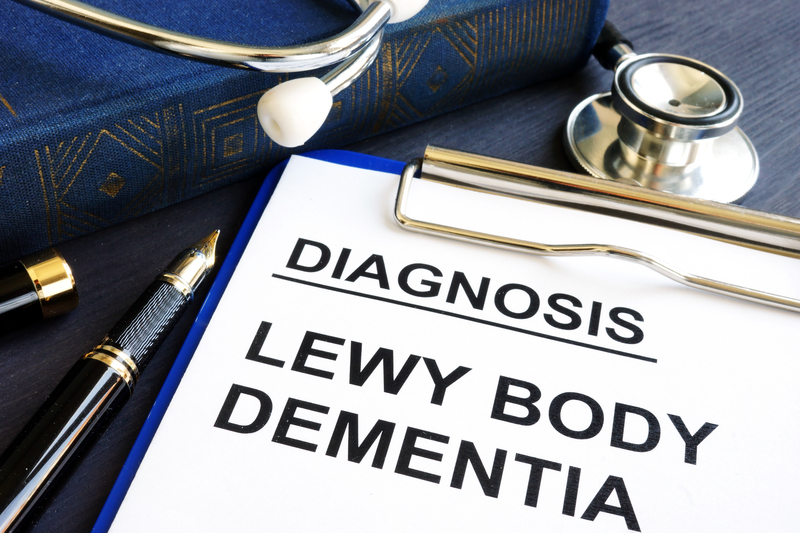 In fact, physicians who are not experienced in Lewy body dementia often misdiagnose it as one or the other of these two more common conditions. This is unfortunate, as early diagnosis could extend quality of life with early treatment. Furthermore, some people with Lewy body dementia react negatively to certain Alzheimer’s or Parkinson’s medications. In the early 1900’s, a German-American neurologist named Friederich H. Lewy was researching Parkinson’s and discovered abnormal protein deposits that disrupt the brain’s normal functioning. Lewy body dementia is characterized by these abnormal protein deposits—termed “Lewy” bodies. In the brain stem, these proteins deplete the neurotransmitter dopamine; depleted dopamine underlies Parkinson’s disease. Lewy body proteins in the cerebral cortex, the area of the brain that governs thought, language, and emotion, produces dementia. Lewy bodies also deplete the neurotransmitter acetylcholine, a brain chemical vital for learning and memory. 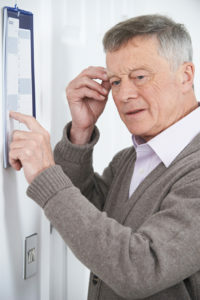 People with Lewy body dementia typically have symptoms of both Alzheimer’s and Parkinson’s, although the symptoms develop differently in each person. For some, the Parkinson symptoms come first, and then the dementia. 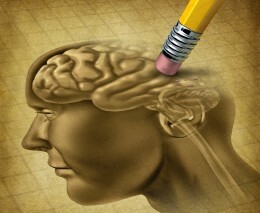 For others, memory loss and confusion sets in first and is then followed by Parkinson’s symptoms. It is these variations in symptoms that complicate and delay diagnosis of Lewy body dementia. Can Lewy Body Dementia Risk Be Lowered? Because many cases of Alzheimer’s may in fact be Lewy body dementia, natural and preventive strategies can apply equally to both diseases. A particularly well-documented risk is a diet high in sugar and carbohydrates. Sugars and high-carb foods—breads, pasta, rice, cereal, pastries, potatoes, soda—promote inflammation in the brain and damage brain tissue. This is due to high levels of glucose circulating in the blood, which creates destructive compounds called advanced glycosolated end products (AGEs) and, as a result, abnormal insulin activity in the brain. These conditions create what some researchers call “diabetes of the brain,” as they promote degeneration, plaques, and tangles, all associated with dementia. A ketogenic diet has shown promising results for people with memory loss and dementia, including Lewy body dementia. A ketogenic diet is a low-carbohydrate diet, in which the body uses fat for energy instead of sugar. A ketogenic diet, and the use of medium-chain triglyceride (MCT) oil has shown promising neuroprotective effects in people with memory loss and dementia. Another factor that has shown to significantly prevent the risk of dementia is regular exercise. Research shows those who walk regularly have significantly reduced rates of cognitive impairment and dementia, and that regular exercise leads to better memory, brain processing speeds, and overall functioning. Has your friend or loved one been diagnosed with Lewy body dementia or another form of dementia? Have you found natural therapies or diet and lifestyle changes have helped? If so, share your story in the Comments section below. By doing so, you can encourage others who may be struggling with this burden, too. Henderson ST. Ketone bodies as a therapeutic for Alzheimer’s disease. Neurotherapeutics. 2008 Jul;5(3):470-80. Walking may reduce risk of dementia. By Kia Bryan. FYI Living. Nov. 19, 2010.
acetylcholine, alzheimer, brain, cerebral cortex, cognitive impairment, dementia, depression, diabetes, diet, dopamine, exercise, glucose, inflammation, insulin, ketogenic, ketogenic diet, lewy body dementia, low carbohydrate diet, memory, memory loss, natural therapies, neurotransmitter, parkinson s disease, potatoes, protein, rem sleep, sleep, sleep disorder, sugar, triglyceride, triglyceride 2. My Dad died of LBD and I have been eating low carb for over 3 years now. I’m surprised that more people don’t know about eating for ketosis. I have been diagnosed with LBD and…I need to call baloney on this. First, I had a gastric bypass in 2005 so there is no low-carb (or low-anything) that will make a difference in my life. Second, given the state of LBD research, if there was ANY method of slowing or delaying the disease, doctors would be screaming it from the rooftops because as of this moment, actual science has no clue what to do about LBD. People on this diet may live longer from a general health standpoint but its impact on LBD with any tangible results are also equally likely to be negligible at best. People are *desperate* for something to help LBD so if there really was such a miracle available it would be known by now. As an ex-researcher, I would say, show me the supporting data that this is truly efficacious for LBD AND that the same results were not achievable through double-blind testing. Otherwise this is little more than the same admonishment that doctors have been giving us for years “Eat right and exercise or you will get…” which as we learned as we grew was total BS. Heck the last neuro I went to before going to the Cleveland Clinic for this was trying so hard to convince me that freaking B-12 shots were going to fix everything and that I should simply ignore the MRIs and other scientific results. Sorry, tired of people with agendas trying to pass of pseudo-science as actual science. When your existence depends on it, it can make you pissy sometimes. HOW ME AND MY FAMILY WAS TOTALLY CURED FROM ,PARKINSON DISEASES, RHEUMATOID ARTHRITIS(RA) AND ALS. I was diagnosed of Parkinson disease in January 2015,then my mom was diagnosed of Rheumatoid Arthritis (RA) and my father was diagnosed of ALS me and my family was so frustrated till one day my father came across a forum where so people was writing about Dr George (Good health herbs home), who sells herbs supplements to cure different kinds of deadly diseases,so me and my family decided to give it a try . We contacted Dr George (Good health herbs home) immediately and purchased herbal supplements for Parkinson Diseases,ALS and Rheumatoid Arthritis (RA). He sent the herbal supplements to me through courier service and i received it within 2days. i used it as instructed and me and my family was totally cured of Parkinson Diseases,ALS and Rheumatoid Arthritis (RA) within 5 weeks of usage, all thanks to Dr George (Good health herbs home) God bless. I thought you might be interested in this article on https://universityhealthnews.com: What Is Lewy Body Dementia?